FS 35: 1/600th, NO HORSE. 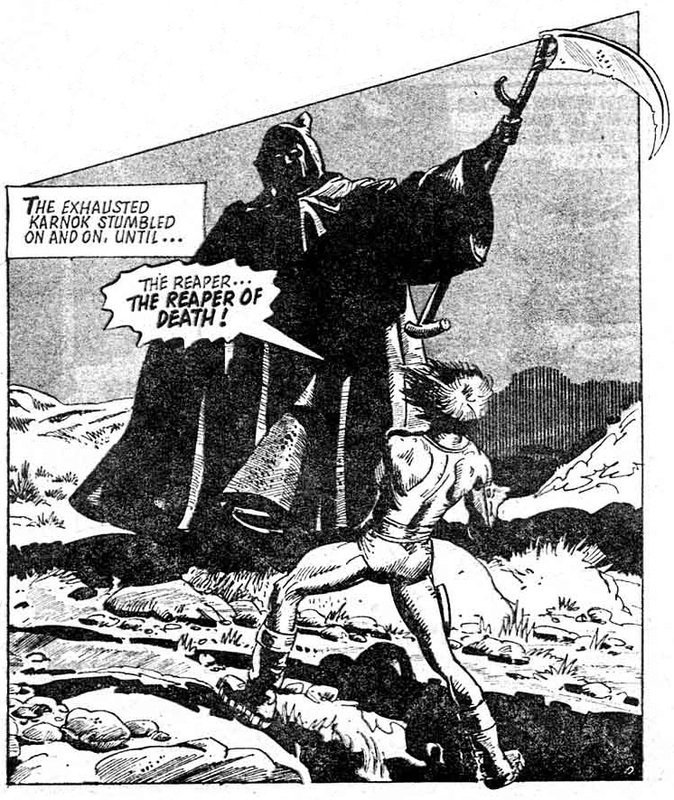 Shock: Karnock explodes, the Grim Reaper muses that Karnock fought well, for an android. Thoughts: The third Future Shock in four to use the ‘he’s not really human after all’ device reads badly because of the repetition of that basic visual/narrative switcheroo. At only the thirty-fifth Future Shock we’ve now seen it six times and this version brings nothing new to the table. It is even unfortunate enough to recycle it’s title ‘The Ultimate Warrior‘ from a previous Shock. Judging it on its’ own merits the comic isn’t too bad; the art, while not as joyous as Frisano’s previous outings, is dynamic and professional, the fight scenes are full of action and exposition is kept to a minimum in favour of action. However Frisano himself doesn’t seem as interested in it as the previous scripts and it is hard not to share his opinion. 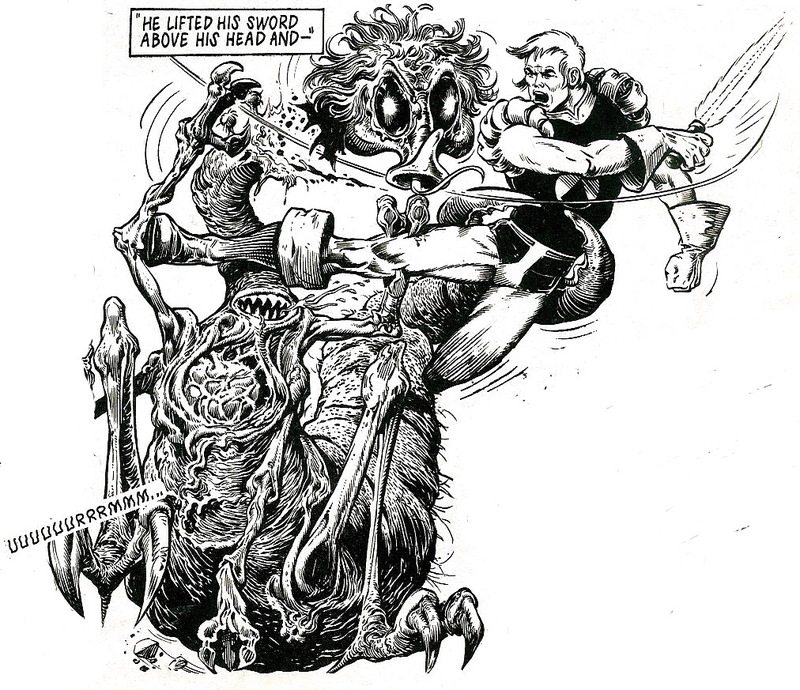 Chris Stevens was to write three FS and the short MACH-1 replacement strip ‘Angel‘, which, much like this Shock, wouldn’t up-root any trees and was very much one of the last ‘traditional’ action-adventure yarns before 2000AD began its shift in gear towards the black humour of Robo-Hunter, Strontium Dog and Slaine. Which also sums up this Future Shock, of its time and competently enough done but nothing of real interest. Shock’d? : Sadly not, with half a page remaining and our hero being in ‘The Valley of Death’ the outcome for him was obvious and exactly the same as happened in the previous week’s Future Shock.